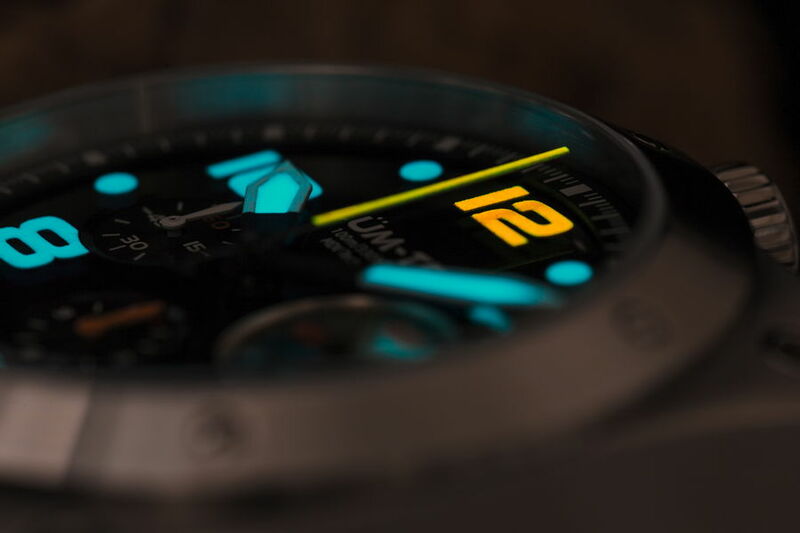 This is a special 6-8 layer application of Super-LumiNova applied over a chemical coated white base, causing an incredibly bright luminescent light charge. 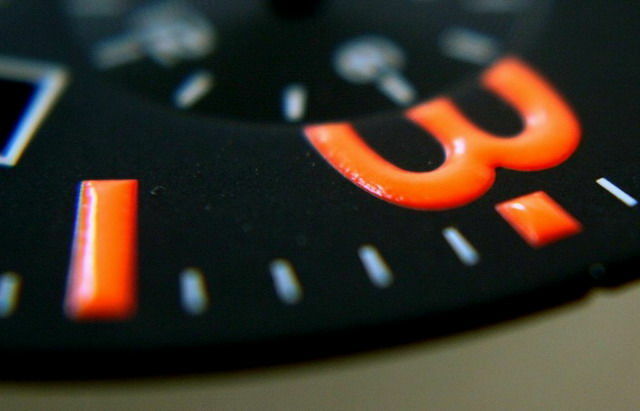 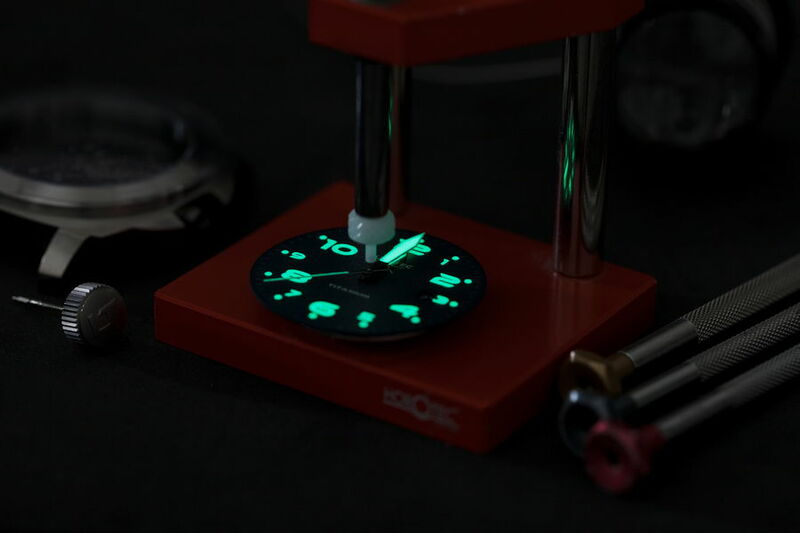 The dials design process took 9 months to reach perfection. 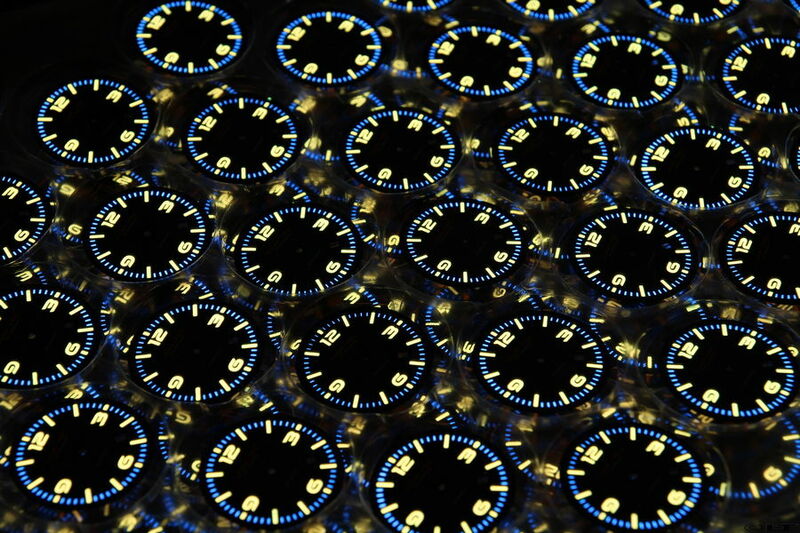 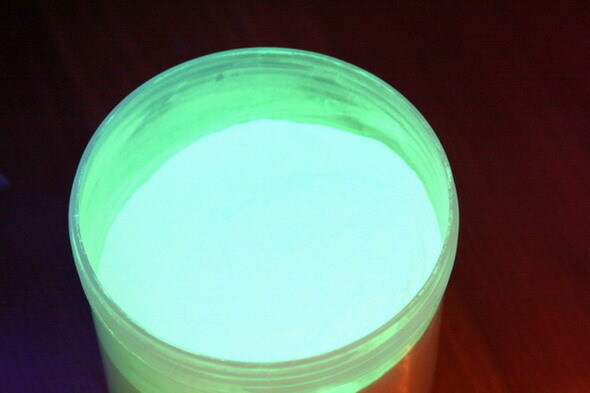 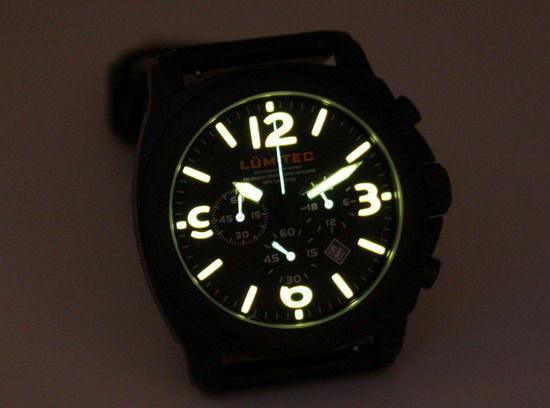 We used a custom made Super-LumiNova compound from Switzerland's finest luminous compound manufacturer, RCtritec. 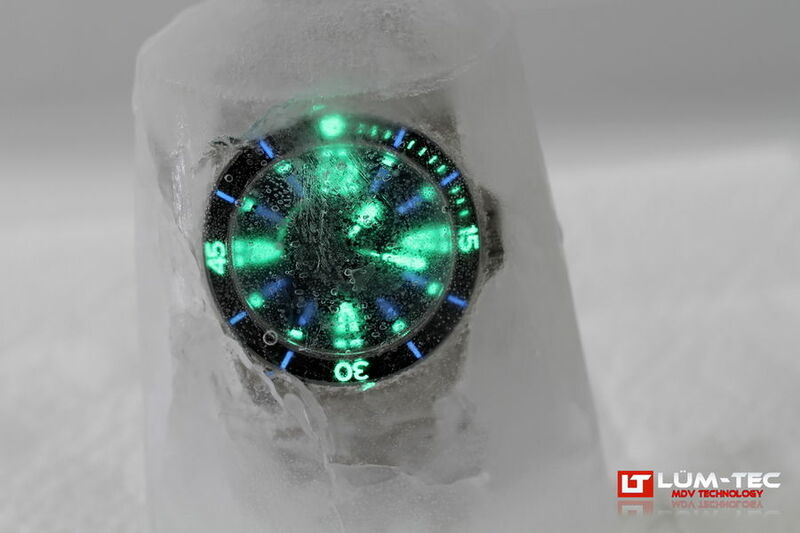 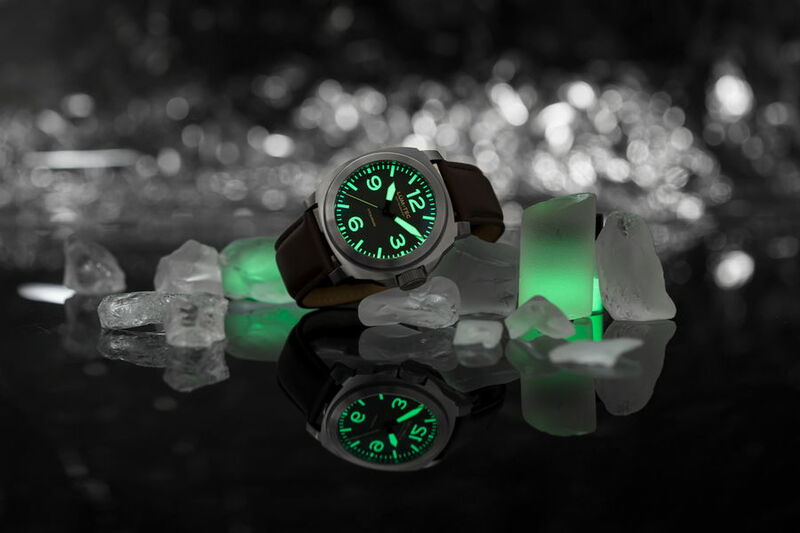 This method of application requires the dials to be printed first with a titanium dioxide base coat, and then with six layers of custom made Grade A Super-LumiNova. 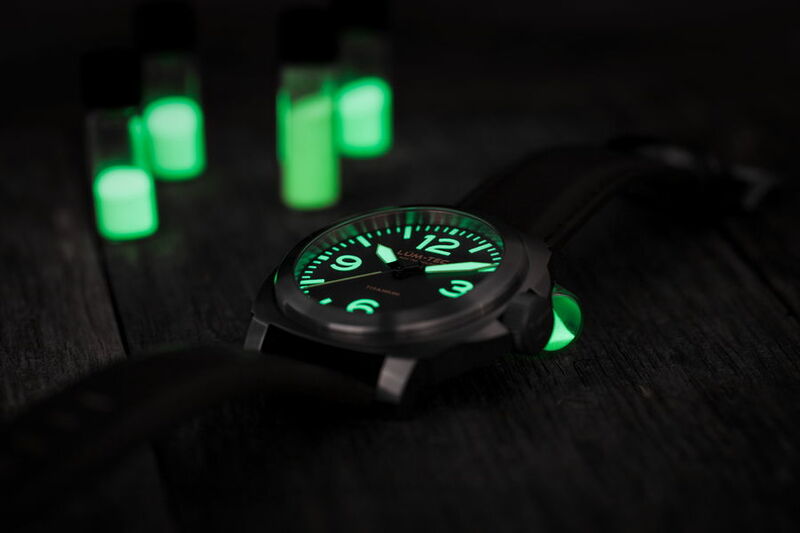 All prototypes are hand made, and the factory machinery replicates the curves, height, and finish (in factory, the lume is applied with a CNC stylograph). 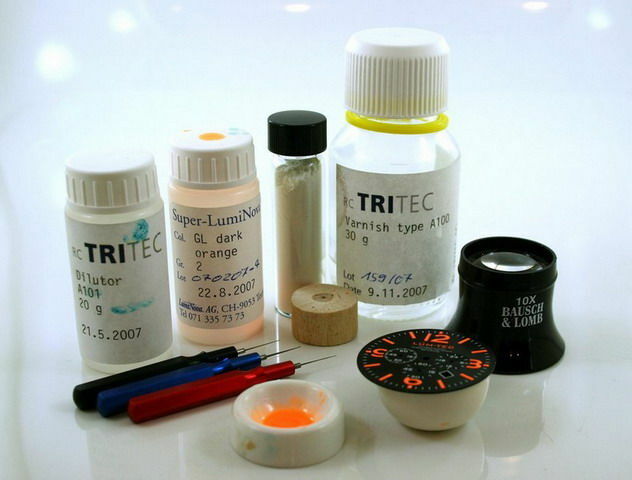 We lay down a layer of white colored titanium dioxide by rotary print, then 6 layers of Super-LumiNova followed by a layer of clear gloss coat. 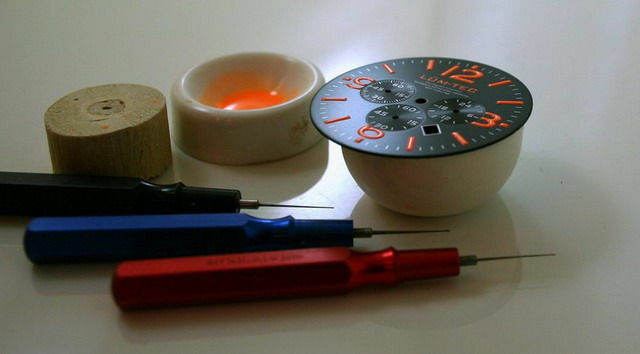 Each step of this unique method must be done very extreme care so the overall aspect and finish of the watch are as close as perfection as can be. 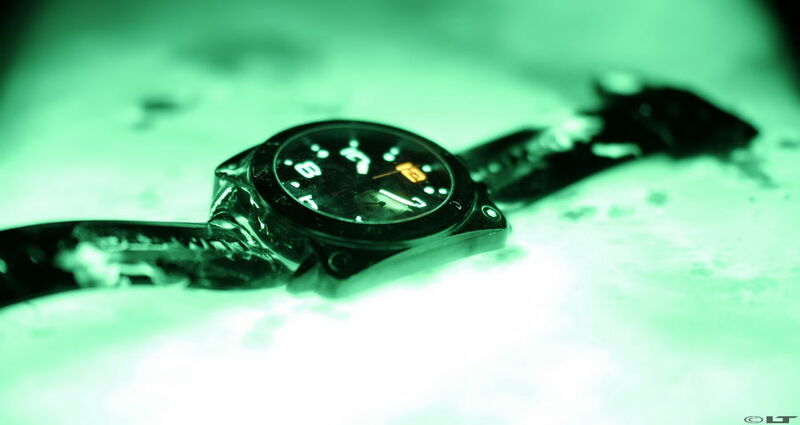 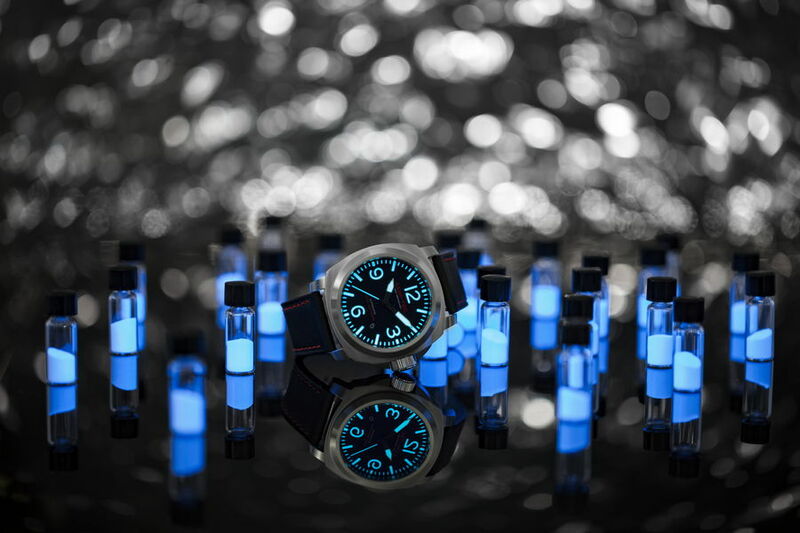 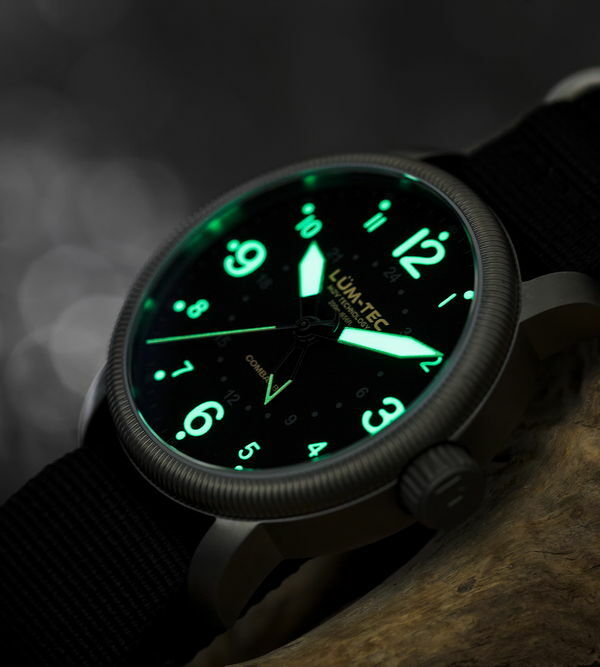 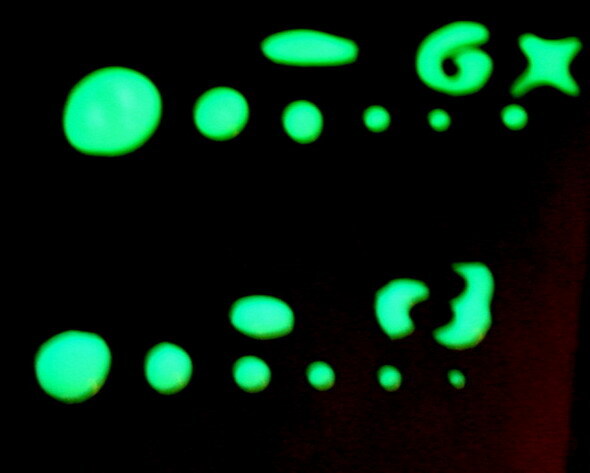 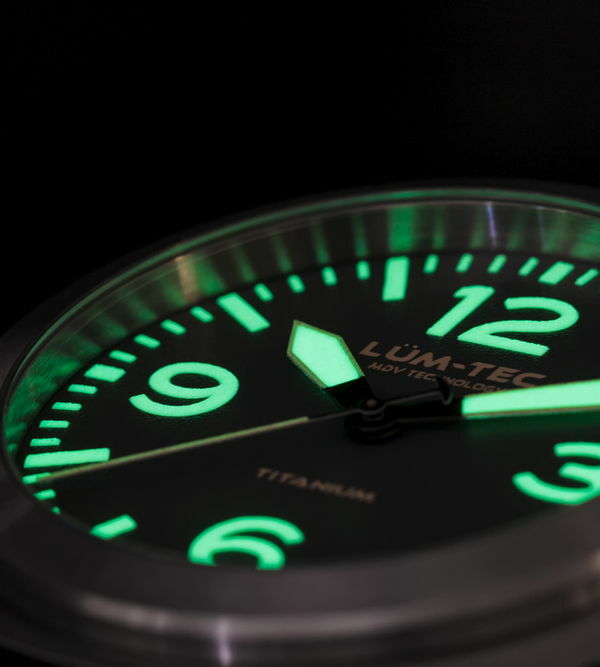 In the quest for the brightest lume and longest lume time as requested by many collectors, LÜM-TEC has a new custom made pigment to be used in all 2009 models with C3 lume. 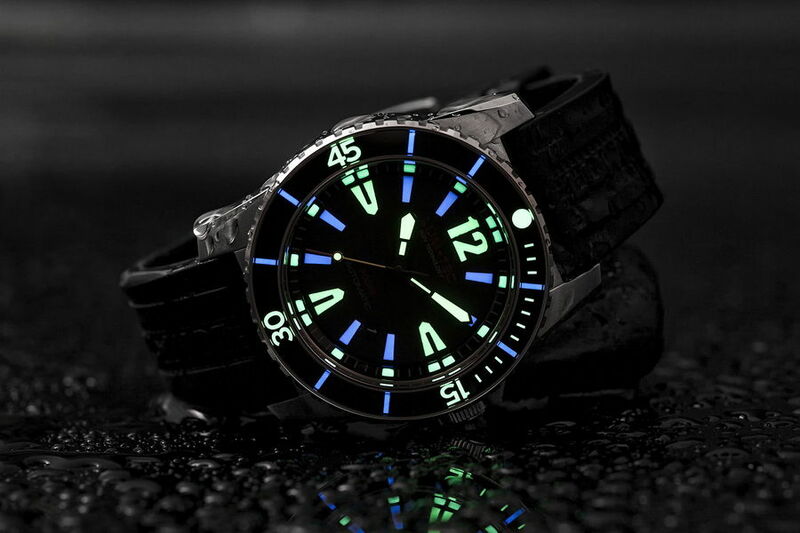 It provides for the brightest lume, and glows for over 24 hours! 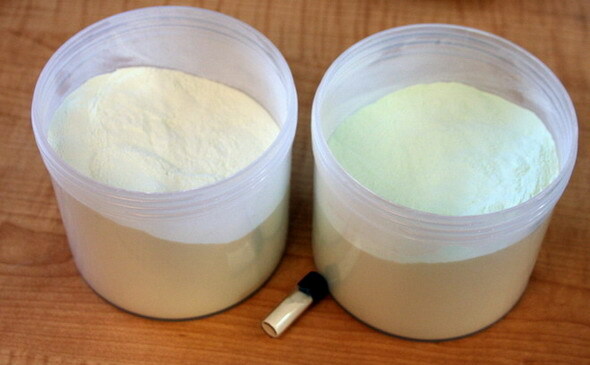 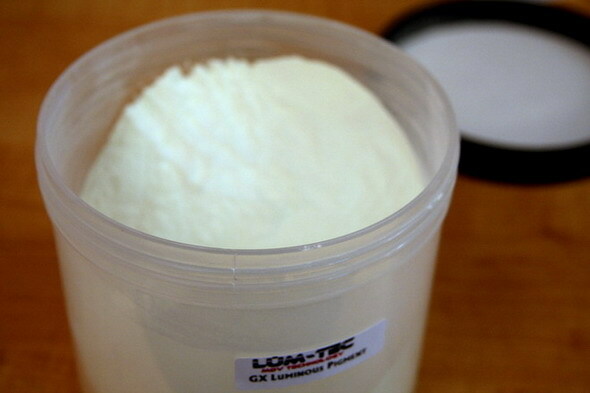 The grain size is 15-20um, so it applies silky smooth like C3. 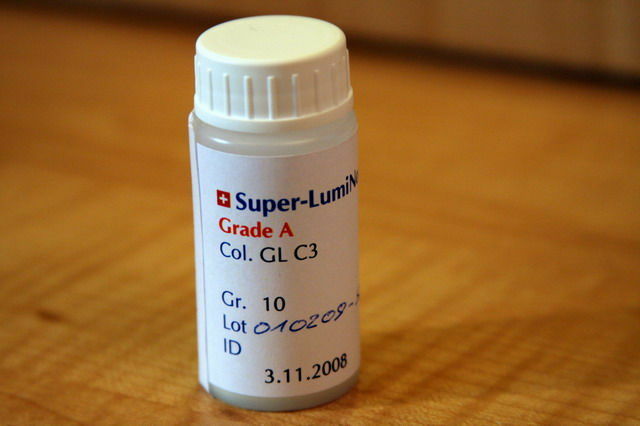 It´s equal in color (slightly more white when dried), grain size, brightness, and application ease to Tritec Grade A C3, and it has a longer afterglow effect - brighter glowing than standard Tritec C3. 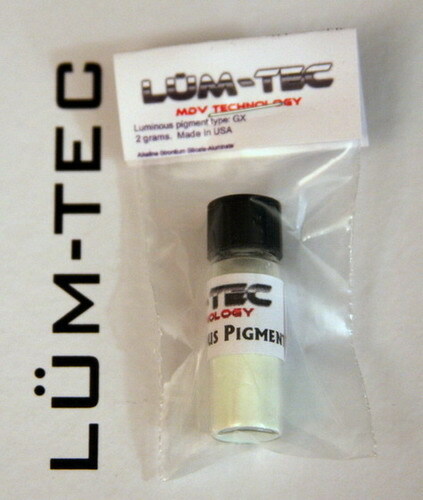 It´s made directly in the USA. 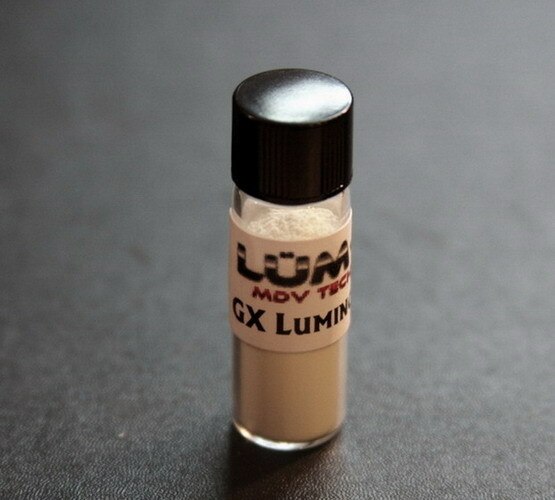 LÜM-TEC GX luminous pigments is applied in all 2009 models instead C3 (Tritec) . 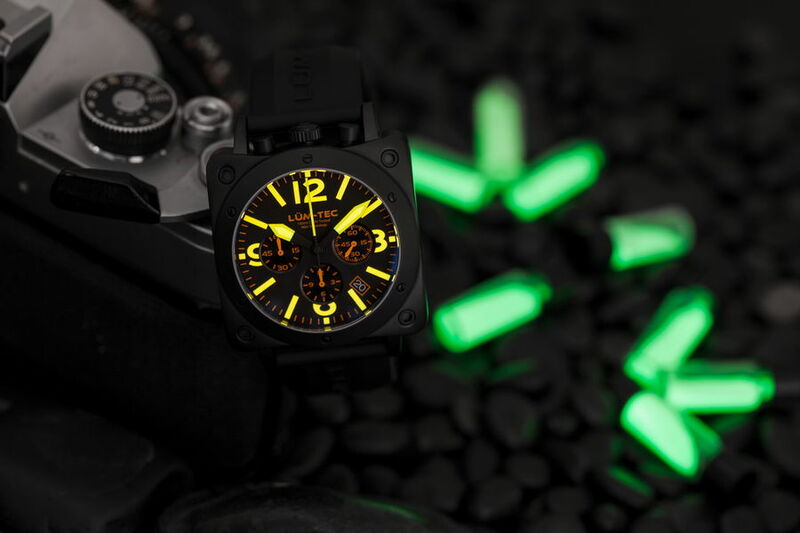 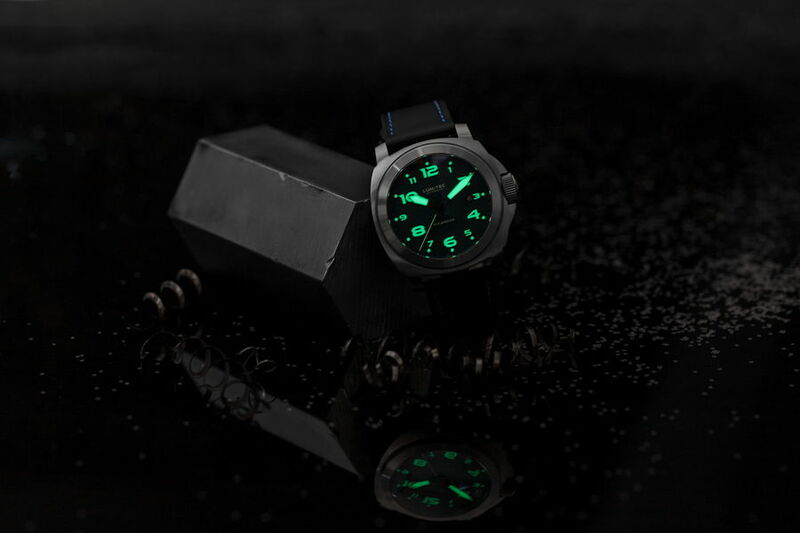 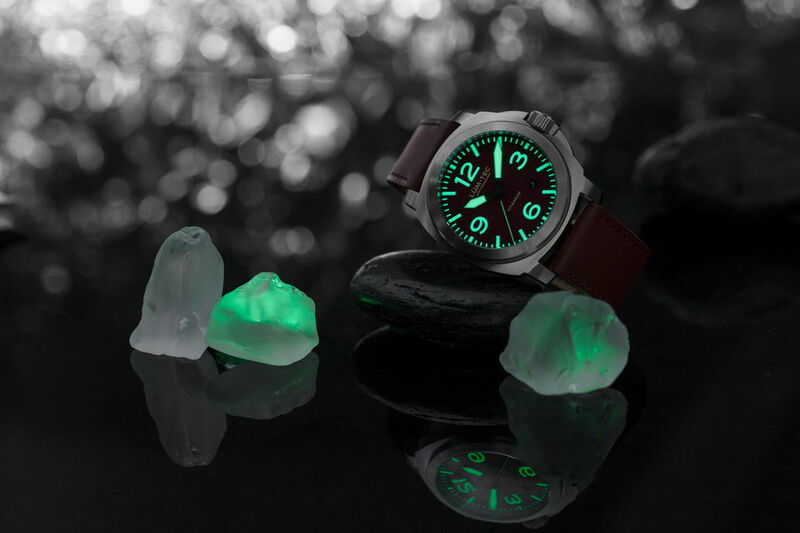 Pioneering with the luminous technologies is just what makes LÜM-TEC watches unique and brings the "fruit". 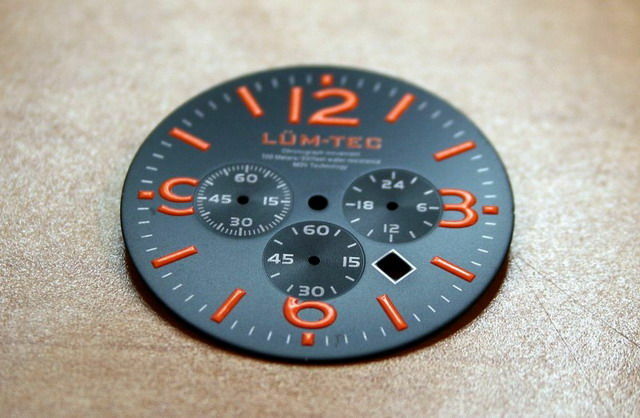 Through innovation, we strive to enhance the LÜM-TEC customers’ satisfaction.